The word solstice comes from the Latin word for sun (sol) and the word meaning to ‘stand still’ because it appears that the Sun stops and changes direction. Since we can remember we have looked at the Sun, Moon and stars and watched these celestial bodies move across the sky. We have observed, documented and calculated these movements. Some have even built monuments to help predict positions and time, such as Stonehenge in England, the Great Pyramids in Egypt and the temple in Machu Picchu in Peru. In more recent times science has helped to explain the causation of astronomical events, although it is easy to see why myths and legends were shared to make sense of regular occurring and puzzling phenomena. The solstice – occurring twice in a year – is one such event caused by the Earth’s 23.5 degree tilt on its axis, and its elliptical orbital motion (it doesn’t orbit in a true circle but an oval) around the Sun. The Earth is split into 2 hemispheres with the equator being the centre line. Due to the Earths tilt the Northern and Southern Hemispheres trade places over the year (the time it takes the Earth to orbit the sun) in receiving the Sun’s direct light. This is why we have the heat of summer and the colder temperatures of winter. It is the tilt and not our distance from the Sun that causes winter and summer. For us in the Northern Hemisphere, the shortest day (hours of light) comes on the winter solstice. The winter solstice occurs on or around the 21st December and after the winter solstice, the days start to get longer and the nights start to get shorter. Living near the North Pole means that you won’t get any daylight hours around the winter solstice with the daylight hours increasing as you move further south. Mid winter is therefore the best time for astronomy with lovely long nights and the chance to see many more of the constellations and planets throughout a night’s observing. At this time of year you will notice the late dawns and early sunsets and the low arc of the Sun across the sky each day. Because we photograph the sunset most nights here at Astrofarm we can track the changes in the time and place for sunset with our wide open west view. The winter solstice will mark the furthest point south for our sunset and then we will see it gradually move west during the spring. You can also see how low the Sun appears in the sky at local noon – be sure to look at your noontime shadow. The winter solstice will be the longest noontime shadow of the year. After the 21st December this noon shadow will start to get shorter. Of course, the winter solstice effect is completely reversed for the southern hemisphere who are now enjoying the longest day and shortest night and the lovely summer temperatures! The South Pole is experiencing 24 hour daylight and their summer season. The summer solstice happens when Earth is at its furthest distance on its elliptical orbit of the Sun with the Northern Hemisphere tilting towards the Sun. Occurring on or around the 21st of June – exactly half a year from the winter solstice – we have more direct sunlight and subsequently the summer heat. The North Pole has 24 hour daylight at the point of the summer solstice and those living nearest to the pole enjoy more hours of light than those nearer the equator. During the day we notice that the Sun is now high overhead at noon and will not cast a shadow at all or be very short. The Sun will set in the west if it sets at all – depending where you are on the Earth, rapidly reappearing in the east. This may be good thing for some as it gives us the wonderful summer heat and warm evenings, for astronomers it means very limited observing during the summer months. 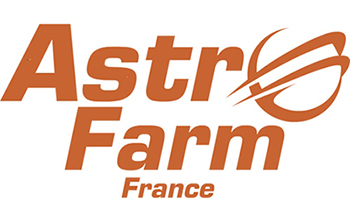 Because we are much further south here at Astrofarm than those of you in the UK, we benefit from 4 hours of astronomical darkness even on the summer solstice – a much better deal than Aberdeen! And again, the summer solstice for those of us in the Northern Hemisphere means winter and shorter days in the Southern Hemisphere. The two solstice events along with the 2 equinox in spring and autumn (the mid points between the solstice when the days and nights are equal lengths) mark important points in the astronomical calendar. They are like road signs through the year mapping where we are in our journey around the Sun. And whilst we now have the knowledge to explain why these events occur, there is still something very human about sharing and enjoying the myths, legends and celebrations passed on from the distant past that helped our ancestors to make sense of their world. Happy Solstice wherever you are!